Following the recent self-immolations by Tibetan monks, the US calls on China to do more to respect the rights of Tibetans as upheld by the Chinese constitutions and address their deep underlying grievances. They were apparently protesting at the lack of religious freedom. The incident happened at the Kirti monastery in Sichuan Province - the scene of a number of recent protests against Chinese rule. The US state department says it is seriously concerned about this protest. It is urging the Chinese government to respect the rights of its Tibetan people, and protect their religion, culture and language. America says some of China's policies have created tension in Tibetan areas. In this latest incident, two monks set themselves alight in an apparent protest at China's rule. The US is calling for journalists and diplomats to travel to Tibetan areas and investigate these kind of incidents for themselves. The two monks are reported to have suffered slight burns following their protest. 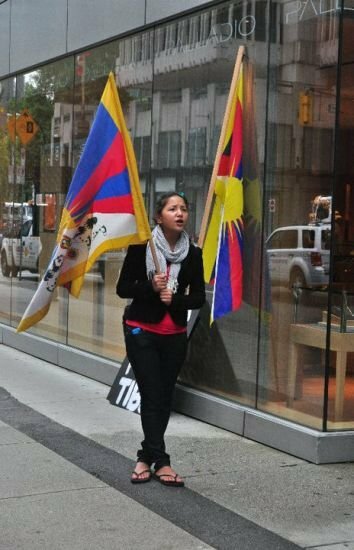 But the fact that it took place at all shows the tension that exists between many Tibetans and the Chinese authorities. The US describes the Tibetans as having underlying grievances - a characterisation that China would reject. Beijing blames the Dalai Lama - the Tibetans' exiled spiritual leader - for causing most of the tension.